Choose A NFI Certified Specialist. One of the best ways to find competent professionals is to check their credentials. 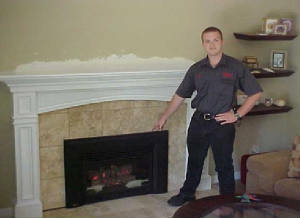 The National Fireplace Institute®, conducts nationwide testing of hearth systems planners and technicians. Only those who pass a rigorous examination covering important topics like safety and placement, venting requirements, and installation guidelines receive one of three NFI Professional Certifications. Wood burning appliances: Factory built solid fuel fireplaces, free-standing wood stoves, inserts and high efficiency built-in appliances. 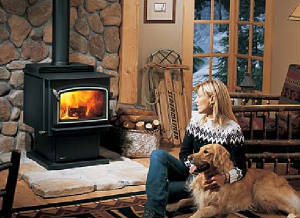 Gas hearth appliances: log sets, fireplaces, fireplace inserts, freestanding stoves. We encourage you to investigate any and all claims made in advertisements by chimney sweep companies. Click on the NFI link to check any claim of certification. Only current certification holders will be listed. Brooks Chimney Sweeping has technicians certified by NFI as Gas & Wood-Burning Specialist. We service and install these products. We currently don't sell service or install pellet appliances.